This chocolate mango cheesecake parfait recipe is perfect for summer. A combination of Oreo cookies, fresh mango slices, chocolate and mango cheesecake layers! 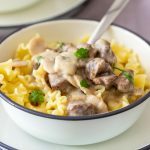 So easy and tasty! 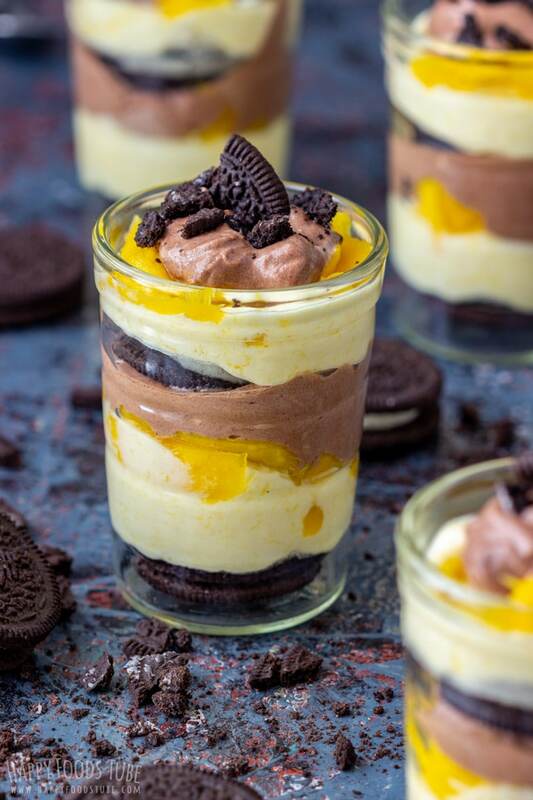 Chocolate mango cheesecake parfaits are no bake and quick to make. Plus they can be prepared ahead! This quick summer dessert is ready in no time and even kids can make it. 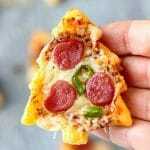 So if you are looking for a fun “baking” project for kids, this might be it. You will need a fresh mango. After removing the peck you will be left with two halves of mango flesh. 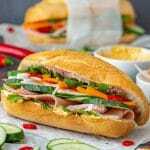 One needs to be cut into small pieces and the other needs to be pureed. After, move onto making the cheesecake “mousse”. First whip the cream until soft peaks form. Add cream cheese and sugar. Mix until combined. Now divide this cheesecake mixture into 2 bowls. A soup/cereal bowls will work well. Add the pureed mango + lemon juice in one and cocoa in the other one. Mix both. 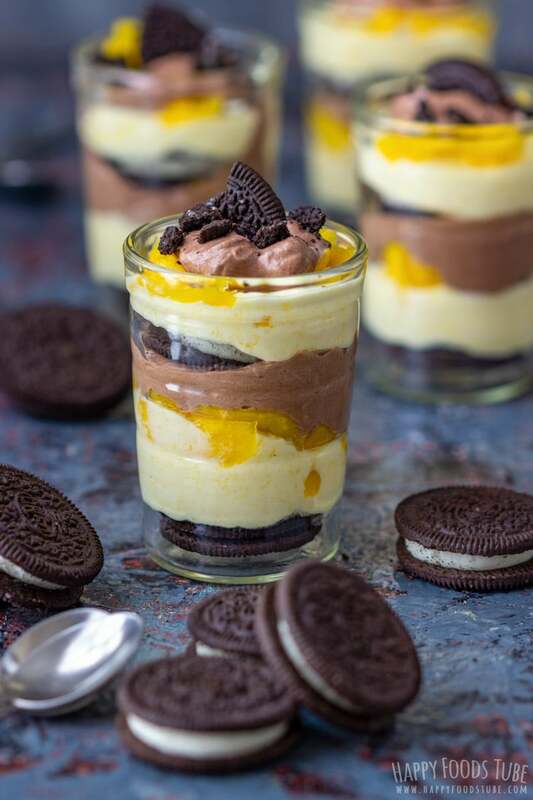 Now you are ready to assemble these chocolate mango cheesecake parfaits. It is really up to you what way you choose to do this. I started with Oreo cookies. I dropped one in each glass. 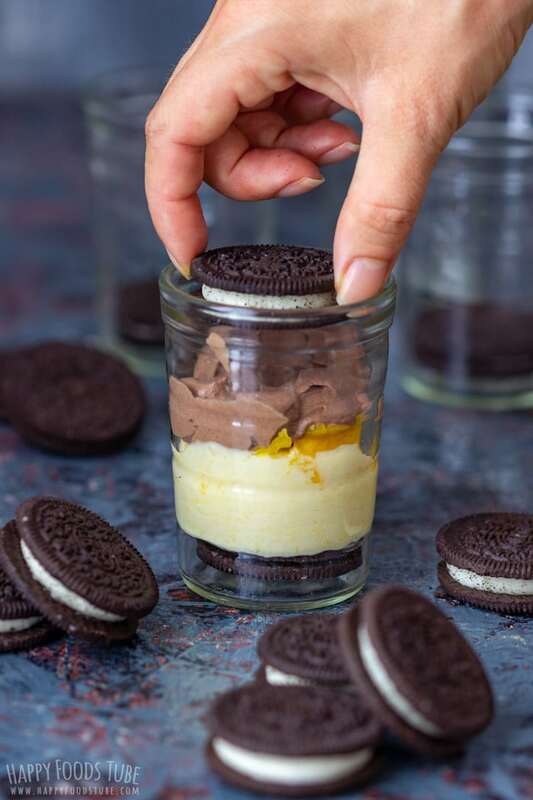 Then I added the mango cheesecake layer, fresh mango, chocolate layer, Oreo …. It’s such an easy summer treat! Don’t you think so? 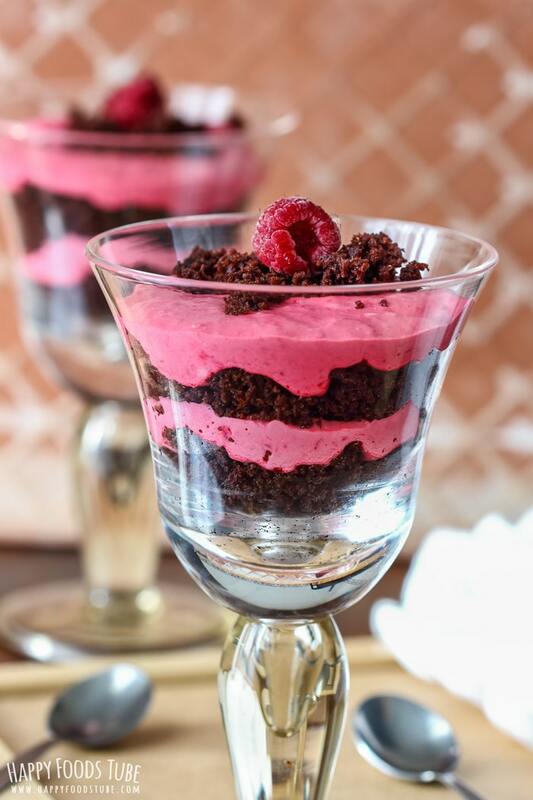 I have more no bake dessert recipes on the blog: Mini Chocolate Caramel Cups with Lemon Curd or Mini Chocolate Strawberry Mousse Dessert. 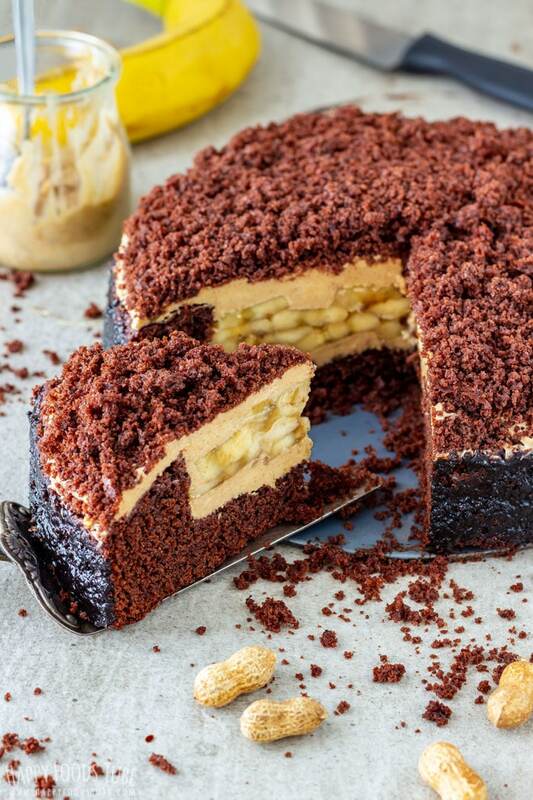 The most favorite of all of them is definitely a No Bake Banoffee Pie, even though it is not made into individual portions. And no wonder, it’s a great dessert! If you like your desserts sweeter than this, then add more powdered sugar. This can be added at any stage of making the cheesecake layers. I used whole Oreo cookies which save me some time making these individual desserts. You can crush them roughly or finely into crumbs and use them that way. To make it more chocolate-y you could drizzle chocolate sauce over. 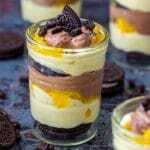 The longer these chocolate mango cheesecake parfaits stay in the fridge the harder the cheesecake layers turn. However, the cookies turn softer. You can make them ahead (say the night before serving) but if you don’t I recommend refrigerating them for at least 1 hour. I have always made these with fresh mangoes but frozen mango (thawed obviously) could work here as well. I’d say that the hardest part about this dessert is the knowledge (or a skill?) of how to pick a good mango. What do you think? 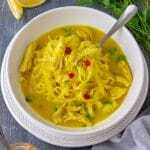 This is an update of a recipe that I made long time ago. I hope you like the new chocolate mango cheesecake parfait photos as well as the tips on how to make them to your taste. Cut the mango and remove its pit. Scoop the flesh from one half out. 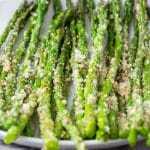 Puree this in a food processor and set aside. Take the other half of mango and cut into slices/cubes or anything really (I prefer thin slices though). In a mixing bowl, whip the cream until soft peaks form. Add the cream cheese and powdered sugar and mix until well combined. Divide this mixture equally into 2 bowls. Add pureed mango and lemon juice in one and cocoa powder in the second one. Mix both until well combined. Assemble the parfaits any way you like. I started with a whole Oreo cookie, followed by a mango cheesecake layer, fresh mango slices and chocolate cheesecake layer. Then I repeated until the glasses were full. 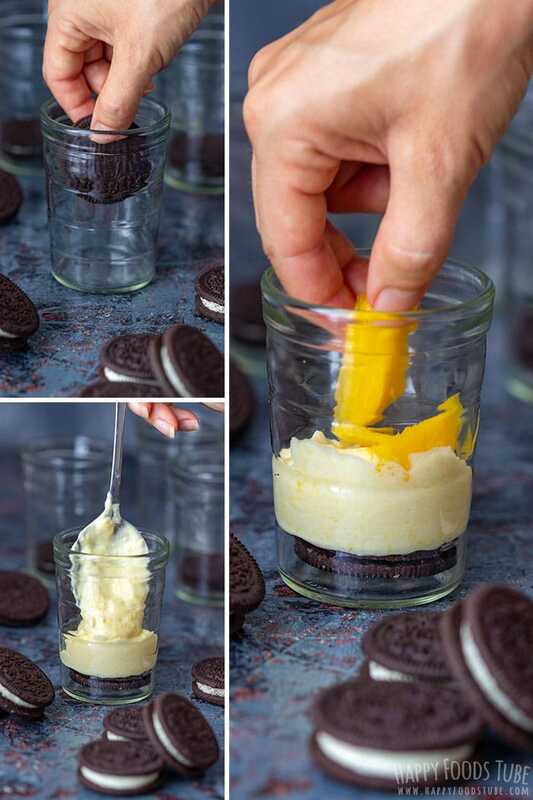 Garnish with some Oreo crumbs or mango slices. Chill in the fridge for at least 1 hour before serving. The amounts of mango/cocoa powder/lemon juice/powdered sugar can be easily adjusted to your liking. Oreos can be added as whole or roughly or finely crushed. Powdered sugar (US) = Icing sugar (UK). 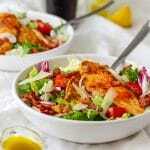 I used freshly squeezed lemon juice in this recipe. This recipe is enough to fill 6 (5fl oz/150 ml) glasses. These no bake parfaits can be prepared in advance (up to 2 days ahead). When making them in advance I suggest garnishing only with Oreo crumbs. Fresh mango will not look fresh after 2 days. Alternatively you could just garnish them with mango slices right before serving. Love your videos! 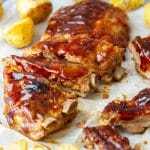 Recipes are great yet easy to make. 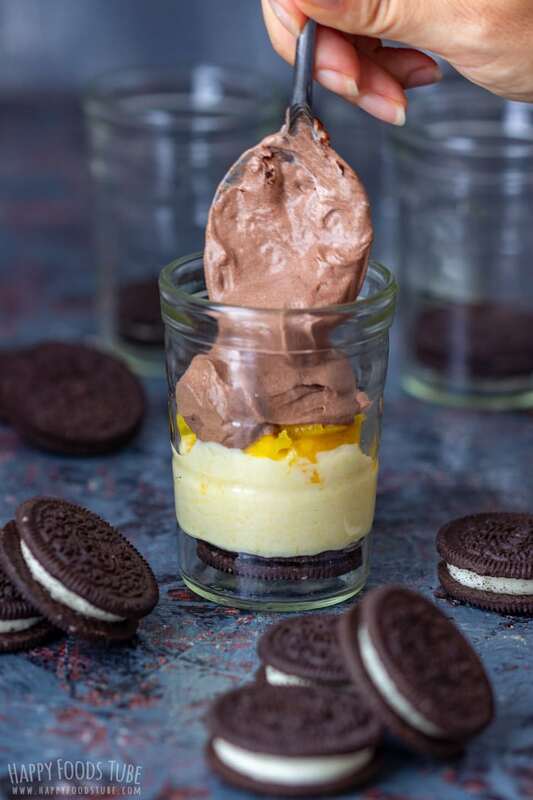 Do you have quantity for the ingredients of Oreo Mango Cocoa creamy dessert ? Thank you Danielle. 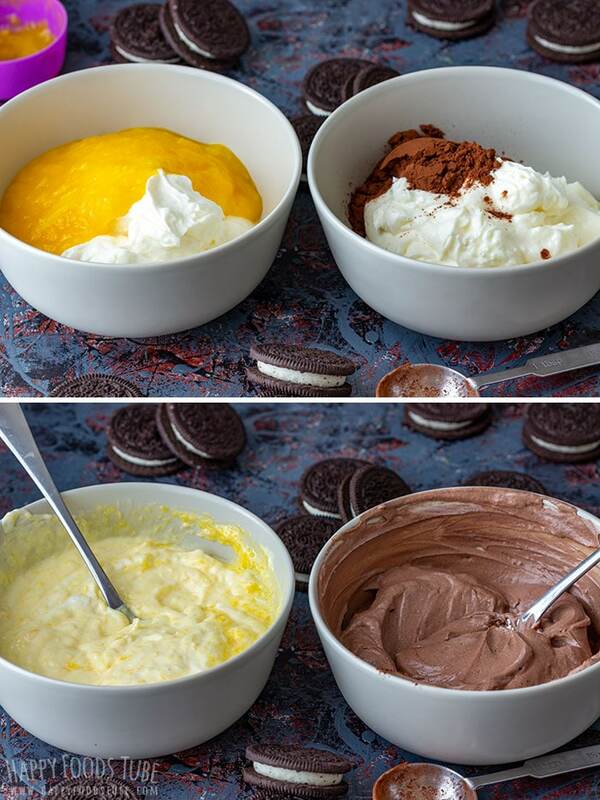 You will need: 1 small mango, Oreo cookies (depends how much you love Oreos), 200g mascarpone, 100g fresh cream, 100g sour cream, 1 table spoons cocoa powder, 2 table spoons icing sugar. Enjoy! 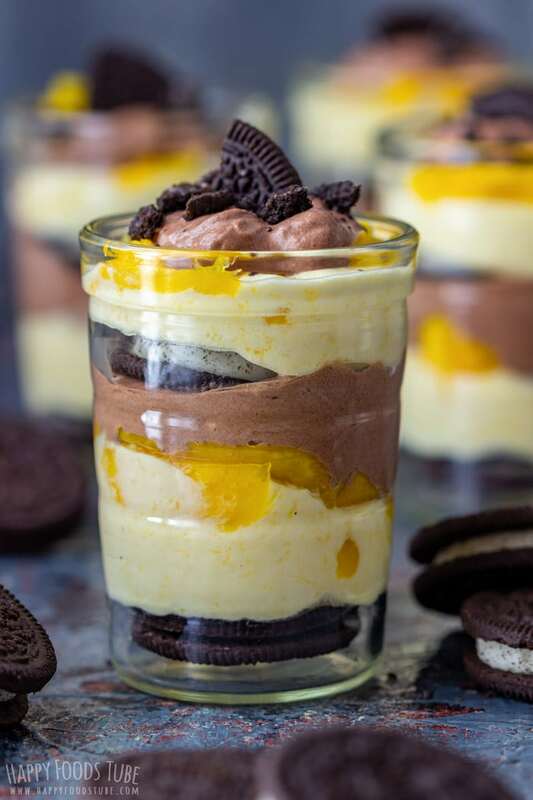 I love chocolate and mango together and these parfaits looks and sound so delicious and perfect for the summer! Kids would love to make this fun dessert! It’s easy, it’s pretty, and it’s no-bake! Oh, my second son will go crazy for these delicious desserts! 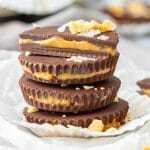 I totally have to give these a try! Let me know how he liked them! 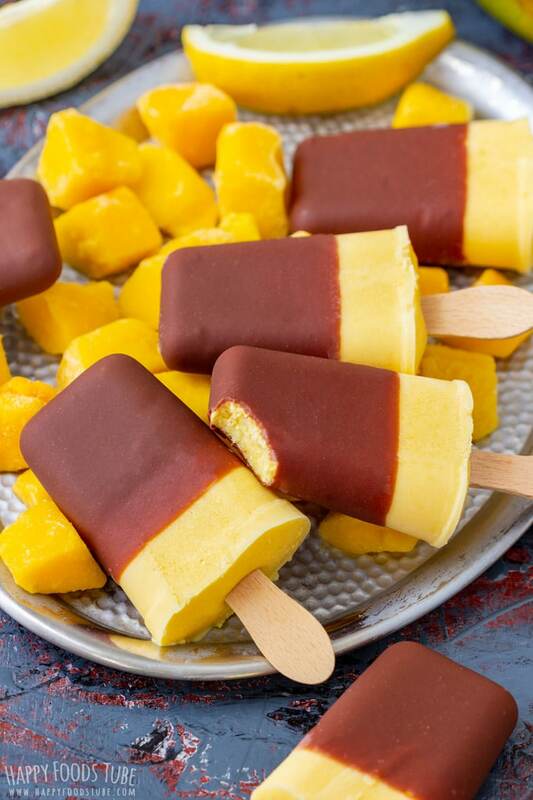 I have never had chocolate and mango together, but it looks amazing. Lovely and summery too!